Pregnant women who contract rubella are at high risk of early pregnancy loss, miscarriage, and still birth. 90% of babies exposed to Rubella (German measles) in the first few months (first trimester) of pregnancy will get Congenital Rubella Syndrome. 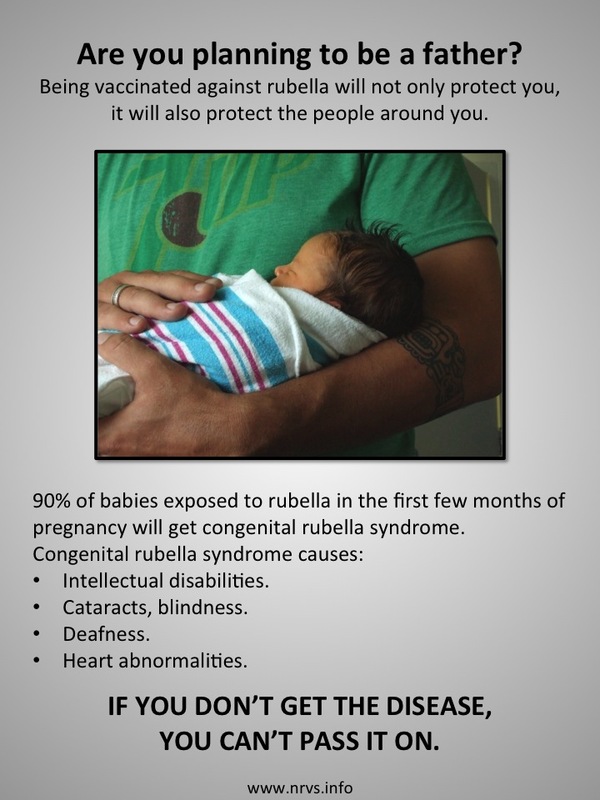 Congential Rubella Syndrome causes, amongst other things, cataracts, loss of vision, loss of hearing, intellectual disabilities, heart abnormalities. 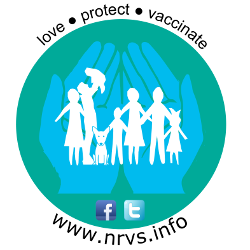 Rubella-containing vaccine is recommended for children at 12 months of age as MMR(measles-mumps-rubella) vaccine and at 18 months of age as MMRV (measles-mumps-rubella-varicella) vaccine. For more reading about the disease and the vaccine please see here.